A few weeks back, I had the wonderful opportunity to have one of the best culinary experiences of my life - The Rooted Door. I have to start this off with telling you a little about my professional life - I am a corporate event planner so my expectations are always set at the highest standards. There is never an event where I have not thought - "I would do this different", or "this would be better that way". It's the nature of the trade, judging others work. 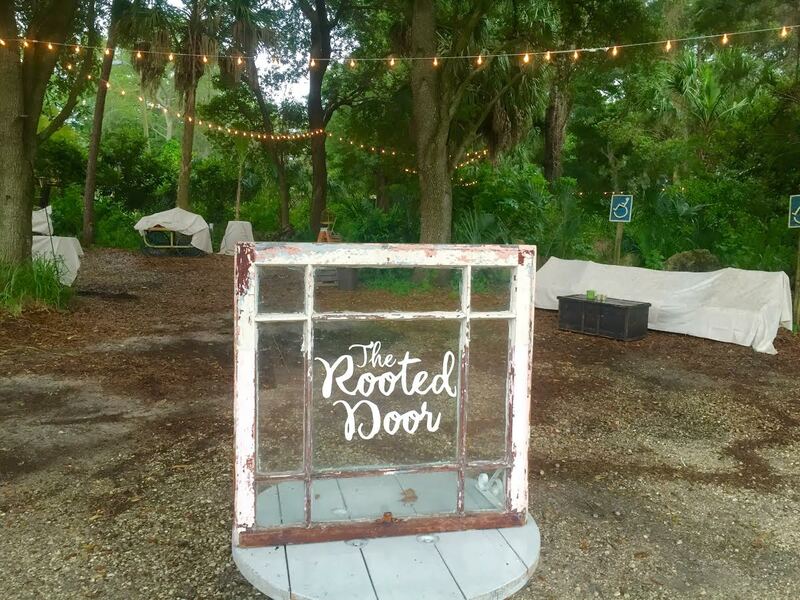 This was until I went to The Rooted Door, put on by the extremely talented PASK Productions. It was a perfect event and the magical night left me blown away. The Rooted Door took place at Sweet Water Farms in Tampa Florida.Two of the bay's most talented Chef's, Chef Ferrell Alvarez (of Rooster and the Till) and Don Pintabona (of Locale Market) curated a menu for the night basing it on four stages of their lives - Childhood, Adolescence, Young Adult and Present Day. The talent of both Chef's shined throughout the night and this was one of the best dinners I have attended. We were welcomed by local craft beers and made our way to a create your own cocktail station. Basically every ingredient you could ever imagine mixing with gin - I made a strawberry, ginger, basil and cucmber cocktail and it was fantastic. We tried a few passed Hors d'oeuvres and eventually made our way to the tables. 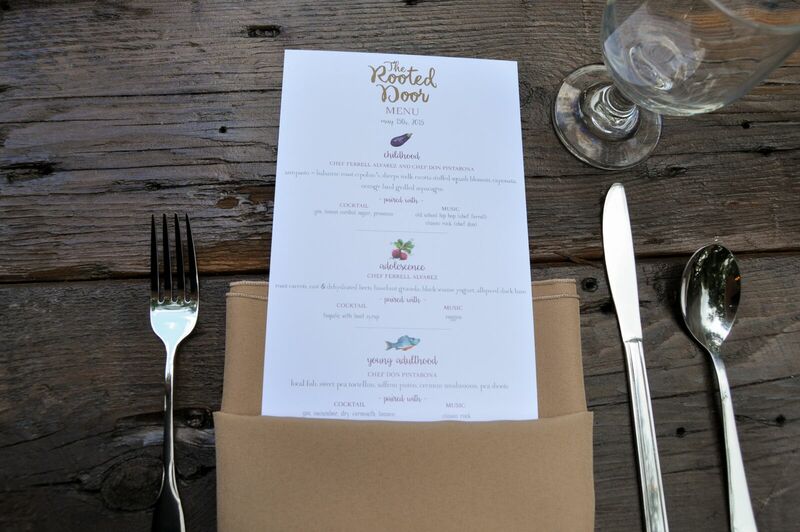 The second I saw the menu, I knew we were in for an incredible evening. 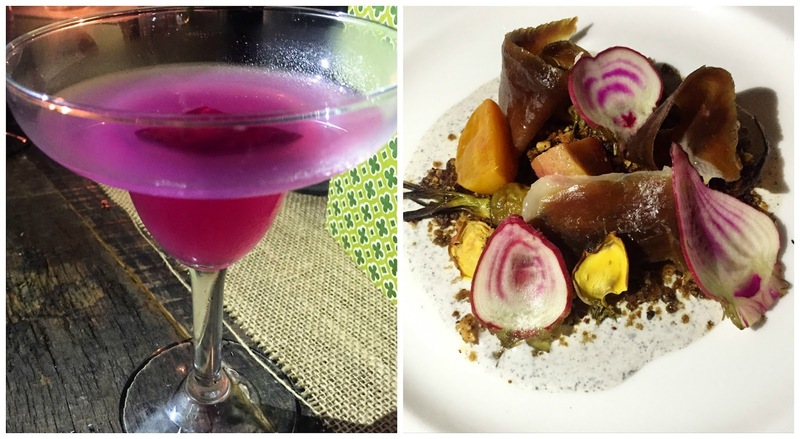 There were four courses paired with craft cocktails and music. Each pairing was selected to go with the four chapters of the Chef's lives, This is going to be a very long blog post but I want to share with you my entire experience of the night. The chapters will show you an insight to how these talented Chef's became who they are today. Fast-forward a few years and we find Ferrell 15 years old, living in Cincinnati/Northern Kentucky. Embarking on his first real job at a deli and catering company, and finding himself in a place every chef knows well, washing dishes and chopping away as a prep cook. Although not a glamorous job, an important one nonetheless, shedding true light on life in a kitchen and creating a foundation for the food and lessons that would help shape an incredible career. At 16, Ferrell started a co-op program at his high school, displaying a passion to locality and awareness at an early age. Continuing to discover uncharted territories, Ferrell soon discovered an appetite for music. Discovering the riveting connection music can have on the soul, Ferrell was inspired by hip hop and reggae, unleashing his spiritual side and challenging himself to open his mind to the magnificent connections that surround him in this world.From music and the soul to the connection of veggies roots in the earth, this life chapter grounded him. Welcome to Don’s 20’s, a vulnerable time when one is on the ultimate quest to discover who they are, to shape their identity and find the path that they will trek for the next years of their life. We find Don embarking on the ultimate European adventure bouncing between France and Italy, immersing himself in the local culture and in the heart of culinary heaven. While in France, Don worked in a 3 Michelin Star kitchen under Georges Blanc. 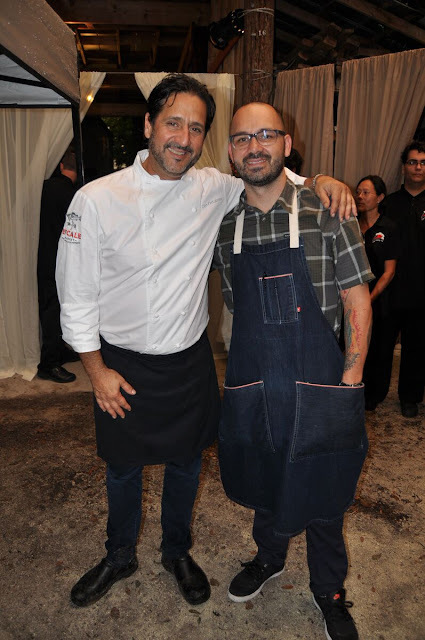 Finding himself inspired by the culinary field’s greatest –from Chef Daniel Boulud to Charlie Palmer –this time in his life exposed him to working with talented mentors that would help shaped his love of flavors. . While in Italy,he embraced the skills taught to him by his grandmother. Working in a kitchen in southern Italy crafting extraordinary pasta from his grandmother’s recipe and developed a fascination with the tradition of the pastry shop in France. A trip and experience of a lifetime you might say. It was through this journey in young adulthood that Don learned the true meaning to the sense of taste by exposing himself to unique combinations and textures in food that challenged the expected. Cooking school taught him “how to cook”. Travelling in Europe taught him “ how to eat”. These experiences forever guiding him along his culinary path. A meal so delicious and meaningful leads us to today, the present, and forever curious about what the future will hold. Ferrell has returned to where it allbegan, embracing his home, strengthening and deepening his rootsto Tampa and Seminole Heights. Embarking on a missionto take this city to the next level, with an open mind and a sense of community without pretension. 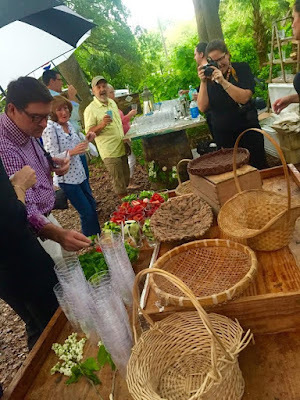 Ferrell plans to continue to grow his roots here,tohelp elevate Tampa’sfood cultureto the next level and to share the importance of sourcing locallywithin this community. Chef Don also plans to continue growing his roots in the St. Pete/Pass-a-grille area, splitting his time between here and NYC. He’s enjoying a quiet, peaceful life in the little laid-back town. Just a beach guy and his food, time to relax unwind and reflect on a remarkable culinary journey that is far from over. 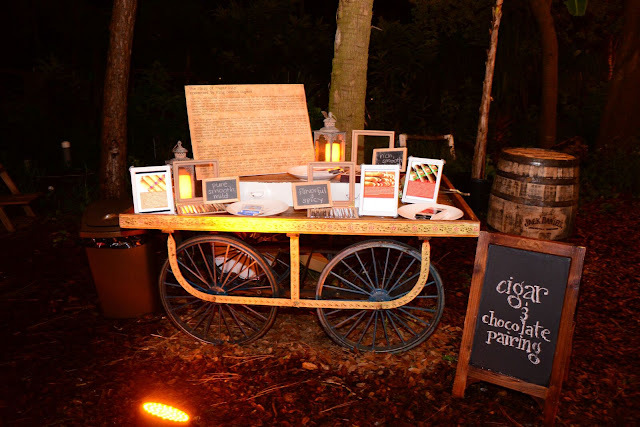 We ended the night with gourmet dessert stations including a cigar and chocolate pairing. I already said it once - PASK Productions, Chef Ferrell and Chef Don blew me away. Ahhh oh my goodness, I wish I could've gone! !